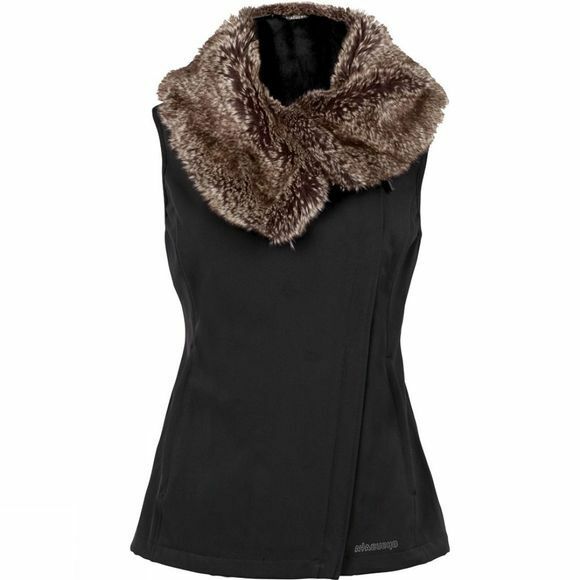 The Women's Husky Vest from Ayacucho combines sophisticated style and excellent function. 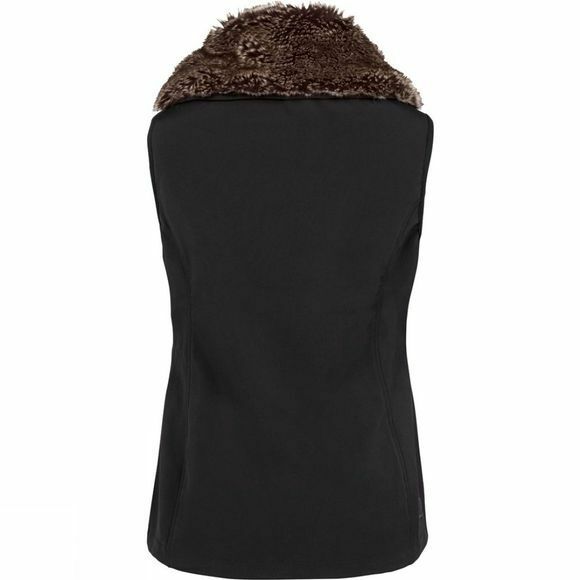 It has a large faux fur collar that offers luxurious warmth while on the inside of the jacket a short faux fur is excellently warm and soft, able to trap and keep warm air next to your skin. An offset main zip offers a little twist and two fleece lined hand pockets keep your fingers warm. Ayacucho makes quality, high performance outdoor technical clothing, built to last a generation. Ayacucho products feature a variety of clever materials and treatments to maximise both comfort and performance, come rain, shine or snow. The integration of Tencel and bamboo, for example, in their Tropical clothing will reduce perspiration and help to keep mosquitos at bay; UV resistant materials offer protection from the sun; and responsibly sourced down in their insulated products ensures you stay warm, whatever the conditions. They don’t use down obtained from live plucking, and selected Ayacucho® items are made using natural materials such as bamboo. And water repellent clothing is finished with an environmentally friendly Bionic Finish Eco process. All Ayacucho products – except for bonnets and scarves – are made in Asia, in factories that comply with the BSCI code, ensuring good working conditions and a fair wage for workers.